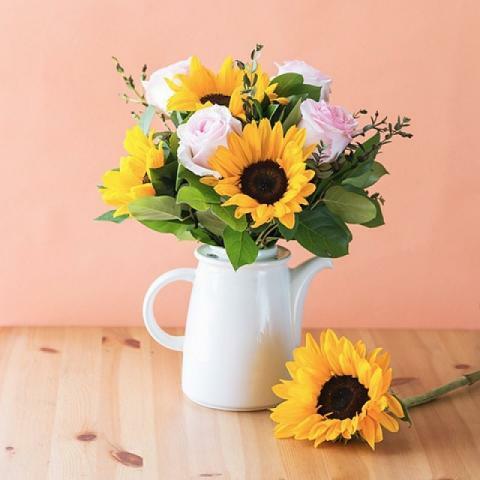 This bouquet is as sweet as honey and brings a bright burst of sunshine and loving colour into the home of your special someone on a day of celebration. Roses are the flowers of love and passion. 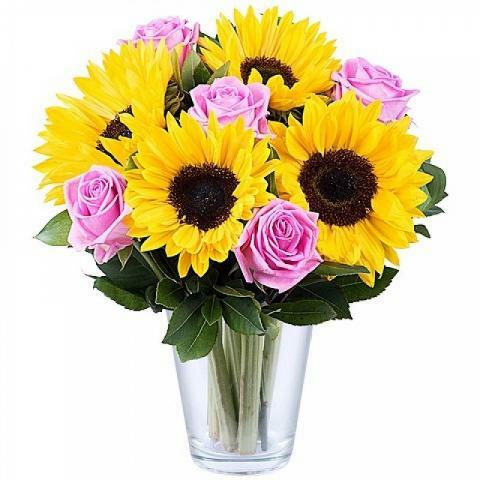 Sunflowers are the flowers of summer and joy. Combine the two for the perfect gift for a loved one when you’re saying “thank you”, “congratulations” or “I love you”. The gift was so nice! Wonderful!